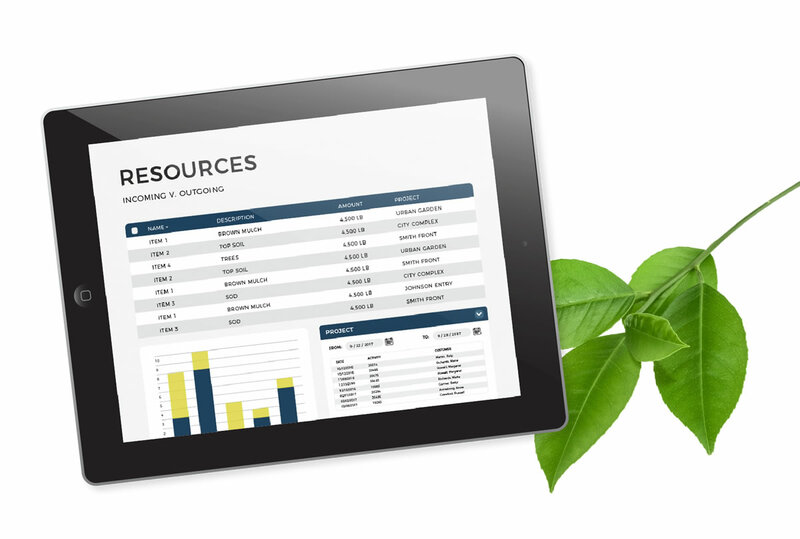 Plant care service business software for nurseries & more. Arborgold software for plant health care business management. With seasonal, recurring schedules, & successor scheduling. Reduce service calls and improve your customer’s experience with a 24/7 self-serve portal online. Schedule equipment, keep track of chemicals and other inventory, and more. Create recurring business from your existing customer base with automating renewals and cross-marketing. Simplify state regulatory requirements with chemical reporting. Plant health care businesses handle high-volume, repetitive and time-sensitive scheduling needs. The key to saving money is earning more per customer and making sure your crews arrive on time, every time. With Arborgold, you’re connected to the field in real time, using GPS to track crews and smart routing to achieve optimal transit times. In plant health care, it’s easy to get wrapped up in phone calls between the office and crews. Arborgold’s mobile apps seamlessly connect your office to your sales teams and field personnel, making it possible to service line items and modify jobs and other important data on the fly. It’s plant health care software that ensures everyone is in the know, no matter where they are. Need to schedule different types of service along with plant health care, like a lawn spray or tree pruning? With Arborgold’s advanced scheduler, gone are the days of deploying two or more separate crews for multiple services at the same location. Instead, you’re combining service types into a single on-site visit in just a couple of clicks. The result? You’re reducing costs and improving the efficiency of your crews. Ready to see Arborgold in Action? As a plant health care company, you’re required to keep tight controls over your chemicals and other important materials. If your team is spending too much time reconciling chemical usage to be in compliance with the state, having the right service business software is the key to streamlining that job. Arborgold is here to make that a reality. When we’re lucky enough to do business in higher volume, it’s not always easy to know the profitability of each job. In plant health care, it’s essential to be aware of when you’re not making enough money per outing and need to charge more. Materials and other direct costs such as injections, spray chemicals, fertilizers, insecticides, labor, equipment and drive time all add up. With Arborgold’s job costing reports, you get an accurate overview of job profitability as a whole and can even break the data down by each service. It doesn’t matter if you have one or one hundred crews — you win when your plant health care teams can use Arborgold’s Mobile Crew to check on jobs, add chemicals to any task on the fly, report temperature and weather conditions and provide all the information needed for your annual filing while they’re on the job. Nursery management software can help you raise the bar for customer service in plant health care. Arborgold’s tree and plant inventory features provide detailed records of your customer’s assets. Easily add unlimited tree inventory and track each asset on an interactive GPS map. Take and store unlimited photos of each tree. Record the ages of trees, their conditions, height, diameter at breast height and canopy. Apply custom tags to trees for easy-to-search documentation. Set up automatic pricing for services like deep root feeding and injections. Arborgold’s sophisticated nursery management will quickly apply exact cost and price based on a formula factoring height, diameter at breast height and canopy. Health records follow the tree over time, so you can document the treatments and progress you’re making in caring for your customers’ trees. With Arborgold’s one-software model, your production teams, sales teams, and office teams stay connected with access to the information they need most including activity notes, work order line items, property photos, estimates, prepayments, and other important invoice information. The heart of a profitable plant health care operation is the ability to maintain repeat business. Whether it’s seasonal spraying or monthly treatments, Arborgold makes it simple to schedule and bill recurring services, contracts and annual renewals. Finding new income opportunities from your existing customer base may not always be as easy as you’d like. You could pull a list from your standard accounting software and call or send emails one by one, but with Arborgold’s plant health care business software, there’s no need. It takes less than five minutes to connect with customers who don’t have plant health care. Cross-selling made simple ensures you can take your company to the next level. Respond faster to inbound calls, website visits and other important messages with Arborgold’s integrated Message Center. Notifications by text and on your desktop or mobile app will ensure you never miss another plant health care opportunity or forget a service call-back. Arborgold’s Proposal Templates speed up your ability to create professional-looking proposals in volume. You can even include photos or CAD drawings of the site. When you create a digital footprint of the property, you have an annual visual guide to speed up estimates as you propose new work. Customers are your highest priority. Arborgold’s Message Center and Customer Portal manage inbound service inquiries while improving your customer’s experience. With a 24/7 self-serve portal online, your plant health care clients can access real-time account information to review estimates, approve jobs, pay invoices and make additional service requests. With Arborgold’s one-software model, your production crews, sales staff and office teams stay connected with access to the information they need most. Activity notes, work order line items, property photos, estimates, prepayments and other important invoice information are available at the touch of a button.